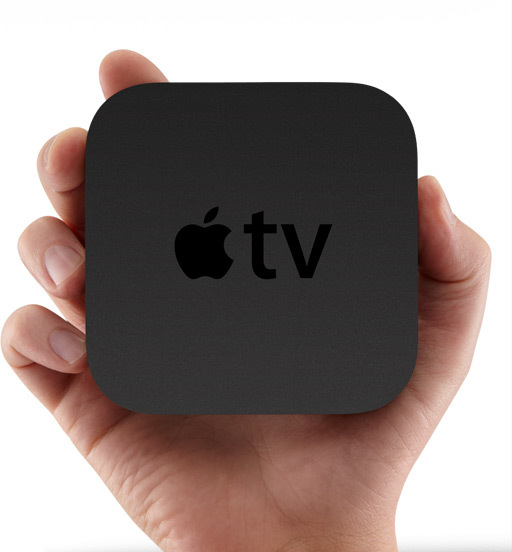 Own an Apple TV? Ready to break the shackles? Want to (eventually) run iOS apps on Apple TV ? Time to jailbreak it! Disclaimer: This guide is intended as a helpful “how to”. Ashraf and dotTech are not responsible for any gain or loss (including but not limited to bricked devices) incurred as a result of following this guide. Jailbreak your Apple TV at your own risk. Jailbreaking voids your warranty. This particular jailbreak uses Seas0nPass and works on second generation Apple TVs running on iOS 4.4.4 (the latest firmware available for Apple TV at the time of this writing). As such, you need to ensure your Apple TV is second generation and it is running iOS 4.4.4. If it isn’t running iOS 4.4.4, then you must update it before proceeding further. To apply the jailbreak, in addition to an actual Apple TV, you need a micro USB cable and a Windows (XP or higher) or Mac (Intel based, OS X 10.6 or higher) computer. Make sure the latest version of iTunes is installed on the computer and the computer has an active Internet connection. Download (Windows version  | Mac version ) Seas0nPass. After the download has finished, unzip the download and run Seas0nPass. At Seas0nPass’s program window, click on Create IPSW. Wait while Seas0nPass downloads Apple TV’s latest firmware (iOS 4.4.4) and creates a jailbreak file from it. This is done automatically by Seas0nPass after you click Create IPSW — you need not do anything except wait. After the jailbreak file is created, you will be prompted by Seas0nPass to connect your Apple TV to your computer. Ensure Apple TV’s power plug is unplugged and connect it to your computer using the micro USB cable. When you connect Apple TV to your computer via micro USB, the light on the front of your Apple TV will begin flashing. At this time you need to take your Apple TV remote, point it at your Apple TV, and hold the MENU and PLAY/PAUSE buttons for seven seconds. After seven seconds let go of the MENU and PLAY/PAUSE buttons. When you let go of the buttons, iTunes will automatically open and start restoring Apple TV. Let iTunes do its thing — don’t worry if odd things flash across your screen. Once iTunes has finished, it will tell you it has successfully performed the restore. Grats – your Apple TV is now jailbroken! Admittedly jailbreaking Apple TV isn’t as fruitful as jailbreaking other iOS devices; there is no Cydia (yet) and many customizations found for other devices are not available (yet). However, jailbreaking Apple TV still allows you to do cool things, notably install and run iOS apps . Enjoy!